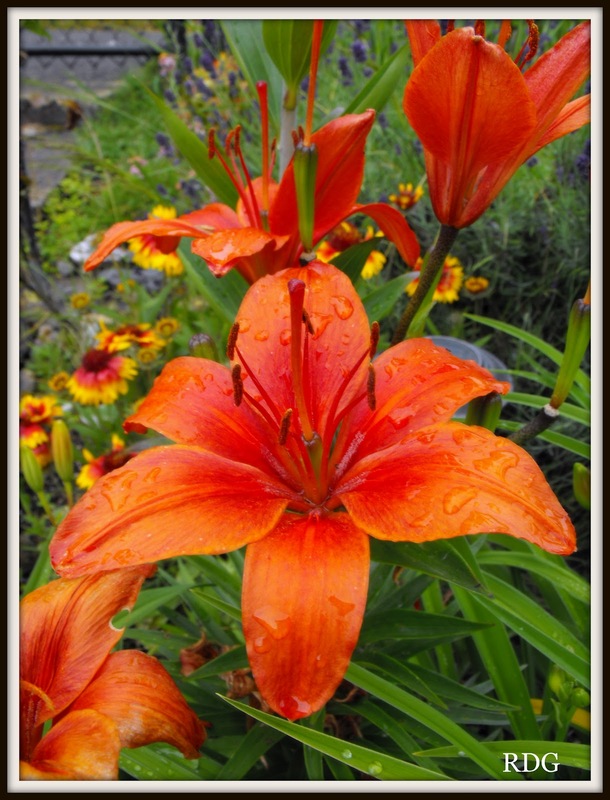 Late June, in my cottage gardens, is the time for the day lilies to shine. 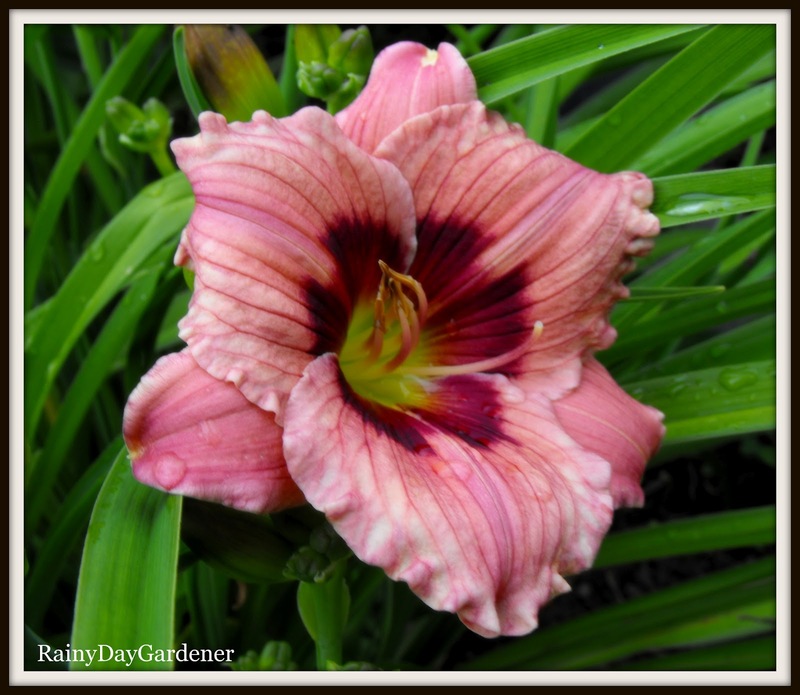 This year, many of the red border lilies are still in bloom and the summer asiatic varieties are beginning to open, thus creating a colorful show. 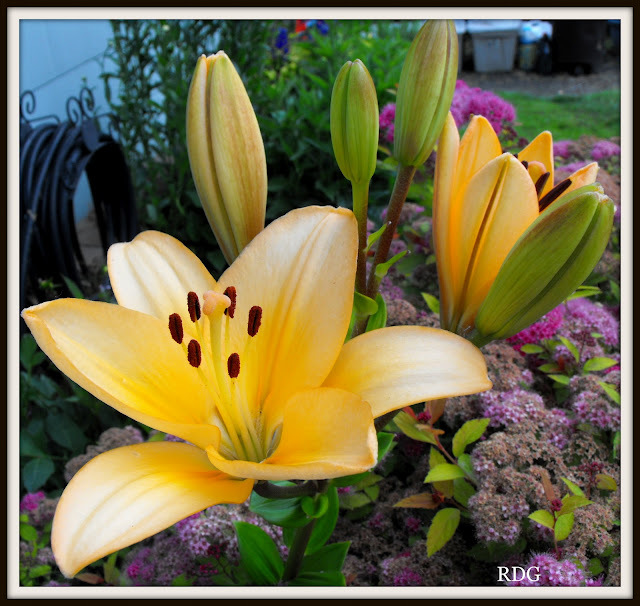 Here is a look at my parade of lilies. As you can see from many of the pictures, it's still wet here in the Pacific NW. While the interior of the country is roasting and fires are torching states like Colorado, here in Oregon, the skies are gray, with damp and humid air. 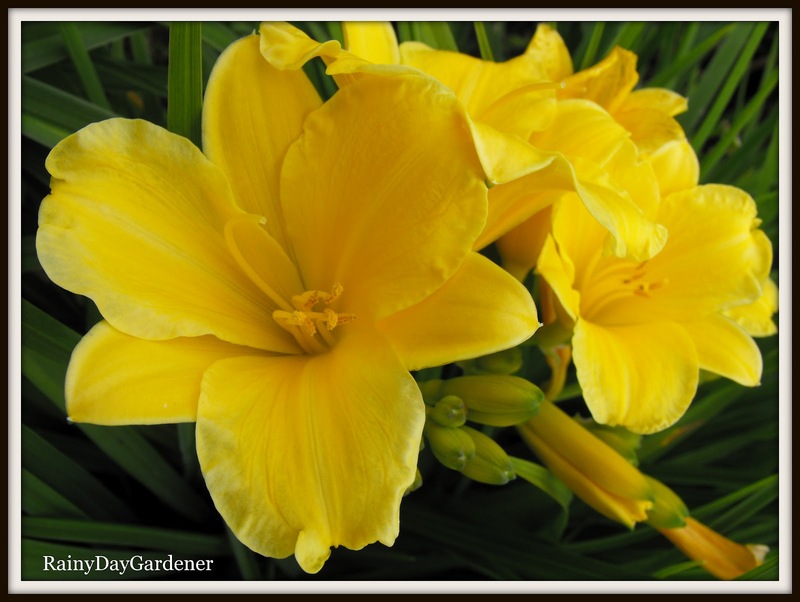 The beautiful thing about day lilies is that they don't seem to care about the weather. They bloom regardless of the rainfall or temperature and most of my dwarf day lilies are the re-blooming varieties, which will provide another parade of color in August. 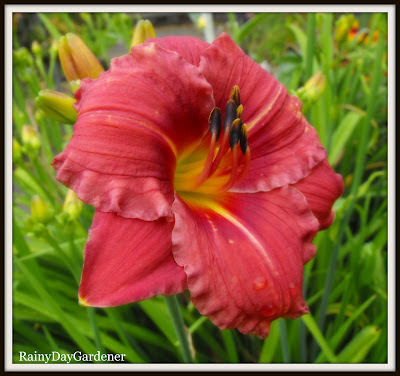 I plan to dig up and divide all of my day lilies and bring them with me to the new house in West Linn during the fall transplanting season. I am keeping my fingers crossed that to make up for our rather lousy spring and start to summer (what summer?? 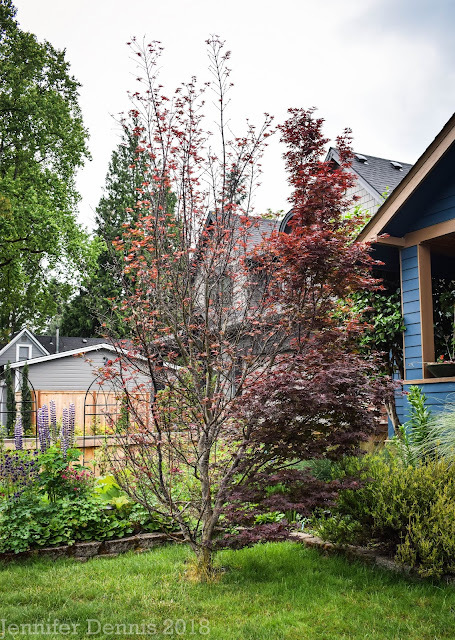 ), here in the PNW, we will have a pleasant and dry fall, creating a perfect time for prepping flower gardens for the next year. Lovely lilies - I'm hoping for a late summer too! Gorgeous Jenni! Daylilies are one of my absolute favorite all-time perennials! Lilies too! Very beautiful lilies! And you photograph them so nicely too! I think the raindrops on the flowers make for more interesting photos, Jenni. It gives them an extra dimension. Your lilies are so wonderful. They look really happy. Great photos. 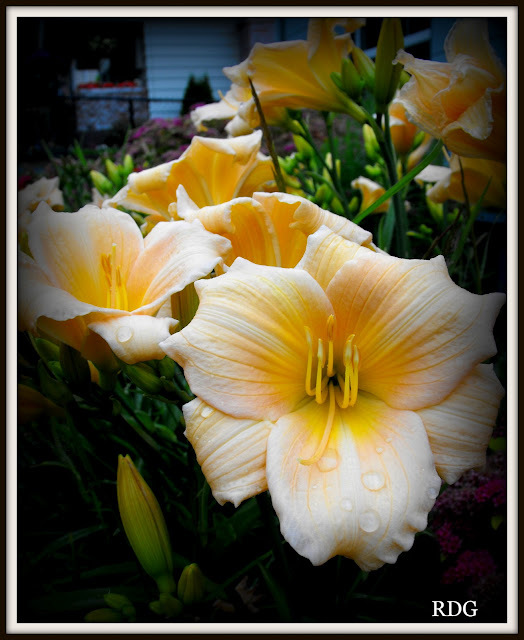 Those lilies / day lillies are fab, so pretty. A great idea to move some to your new house. Not much of a summer yet in Northern Ireland either! Fingers crossed. The lilies are just barely starting up here. You have such a pretty variety and it'll be fun to bring them to your new garden. Remember last fall ended up being so nice after the not so nice summer. Hopefully we'll get a nice summer and fall this year! They are so beautiful! I just got into lilies the last two or three years and I just love how brilliant they are. Thanks for the tour.